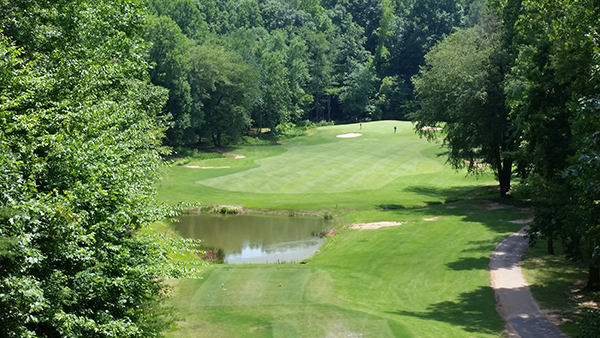 Breathtaking views from the upper tee boxes are the signature of this 332 yard Par 4. Although drivable to long hitters, the green is narrow in the front and protected by left and right side bunkers as well as water to its back. 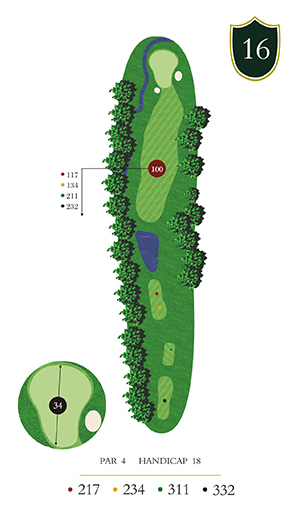 Keep your tee shot to the right to avoid hazards to the left of the fairway.